Use TB14VWB to reference this item. 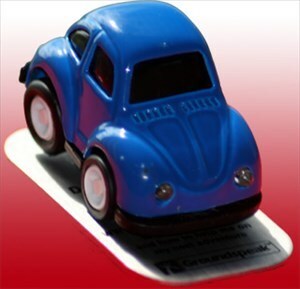 This tb would like to zoom to the VW plant in Wolfsburg, Germany and collect other Volkswagen Bug items along the way. Eventually, it will return home to Bangor, Maine. Leider nicht bei den Visitenkarten. Now I made it, to set you out in the VW-town. You are about 2km away from the VW-factory. Maybe a VW-worker takes you for a short trip in the factory. Have a nice further journey. Let's see if I can bring you directly to Wolfsburg. Maybe it takes some days, but it is not far away from here, so it is possible. It was in Borderline, all right. 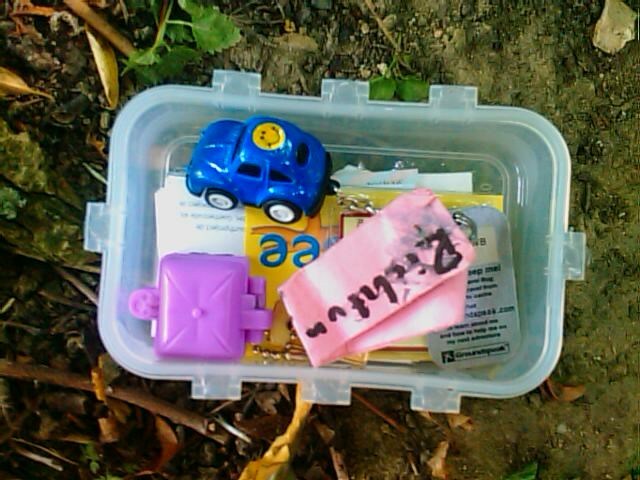 I'm not going to Wolfsburg, so I just let it be for a more local geocacher.